Welcome! Anyone hungry in Phoenix? 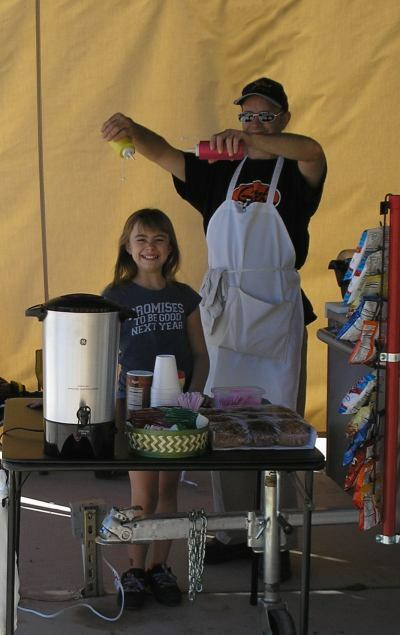 There's nothing like knowing hot food is prepared on location and cold drinks are waiting for you. These are our standard carts. They need about 12x12 square feet to set up in. 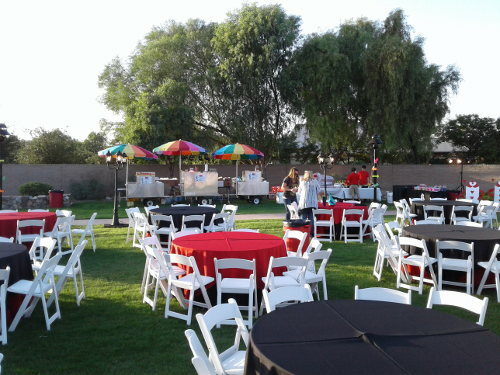 Our equipment can serve parties of 30 to 3000 anywhere in the Valley. Large event prep at Marley Park. 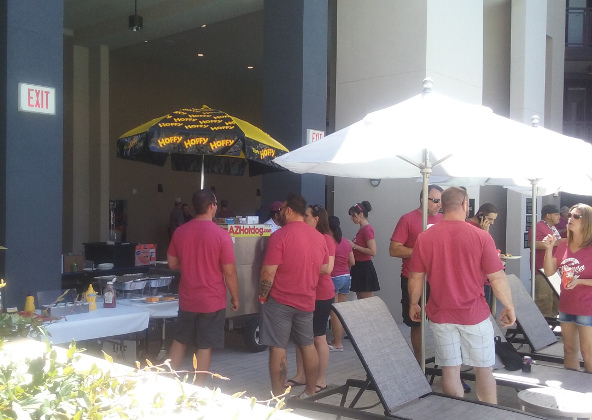 We feed big groups and bigger groups. 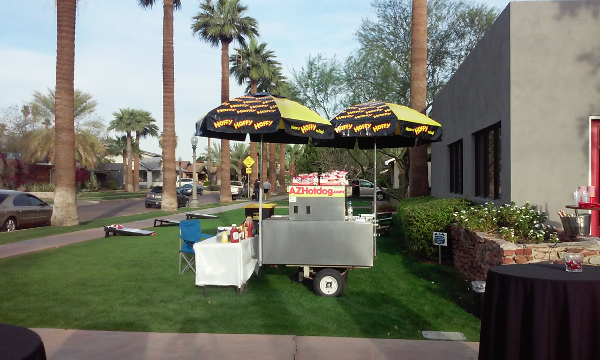 Party catering Scottsdale. Our carts look great anywhere. 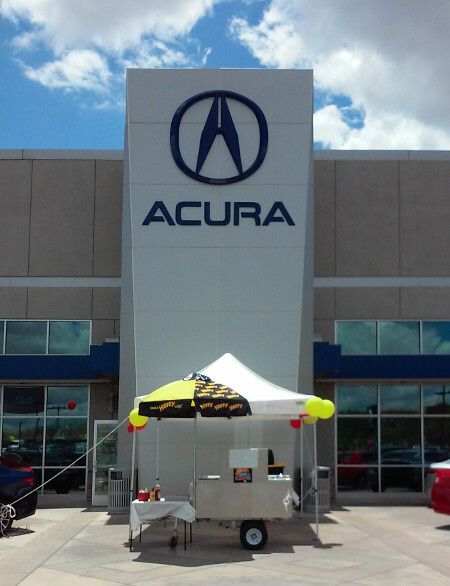 Our clients look great anywhere too. Even in Halloween costumes. 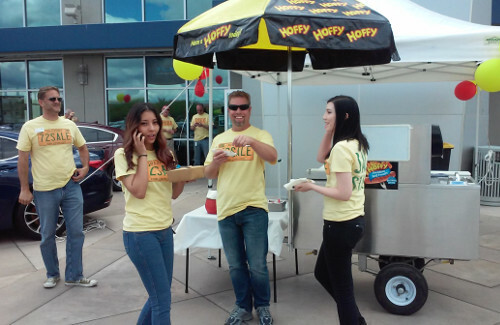 Our service is highly dignified and composed. We are favored by pincesses, queens and walking strawberries. 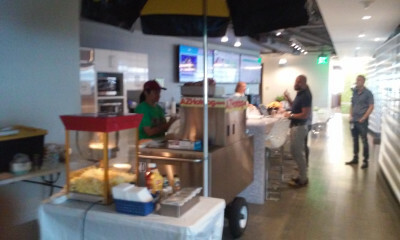 Did somebody say indoor catering? 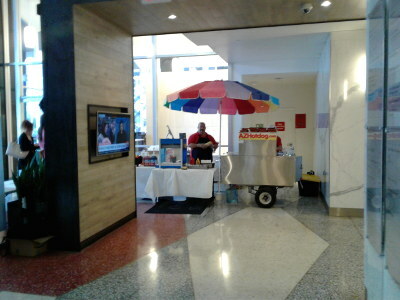 Indoor catering service in Phoenix. We're seen in some pretty fancy company. 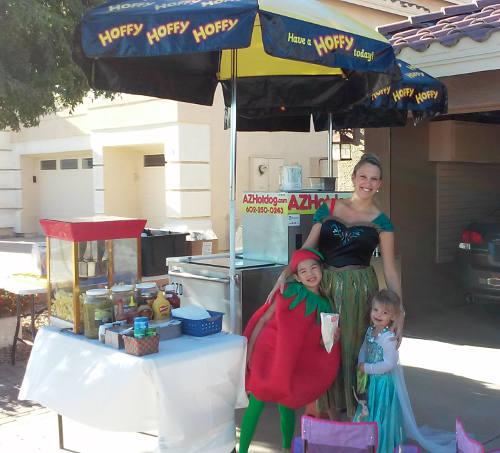 Hot dog cart party catering in Surprise AZ. 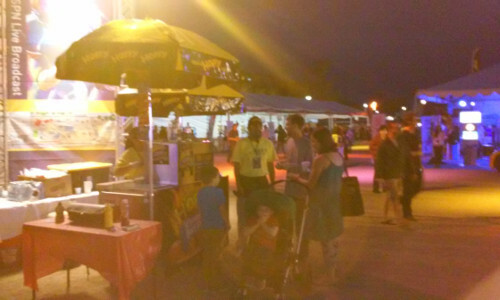 We were serving Chicago Style that day. Truly awesome. 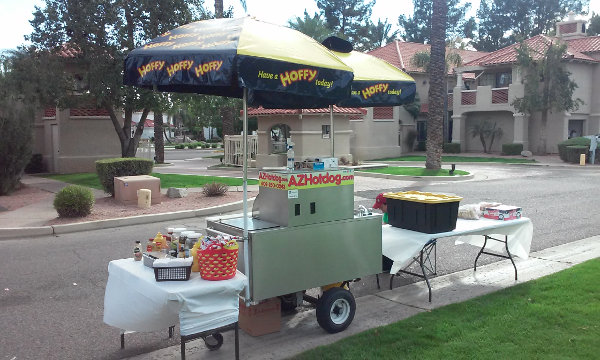 Hot dog cart party catering in Scottsdale. 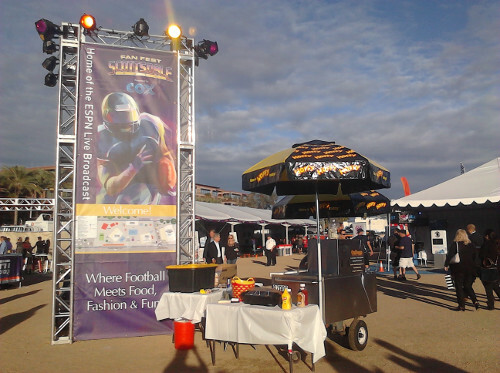 "Where football meets food, fashion and fun." 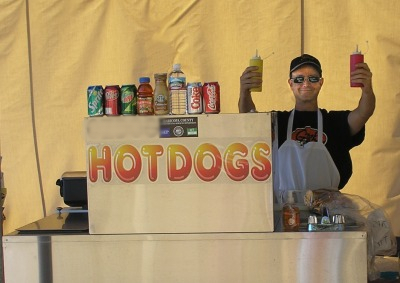 And hot dogs, the sportsman's favorite. This is what happens when you set up for a garden party and then dinosaurs show up and eat everybody. 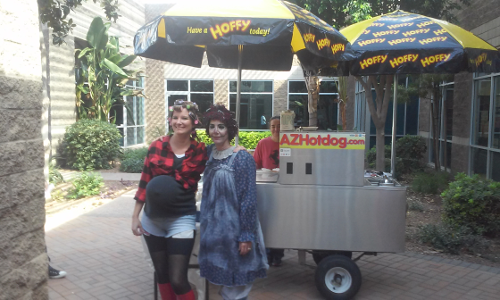 In the continuing war over ketchup on hot dogs, AZHotdog remains neutral and free of partisan bias. Our food makes you want to sing! 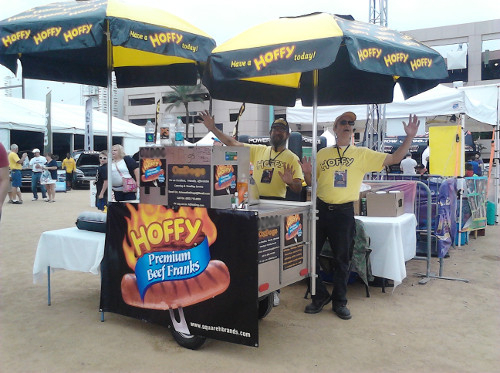 Also we're Brand Ambassadors for Hoffy Dogs and HQ Brands...can you tell? 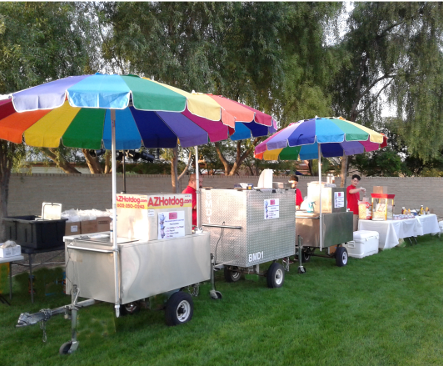 Event catering in Phoenix day or night. Especially at night. 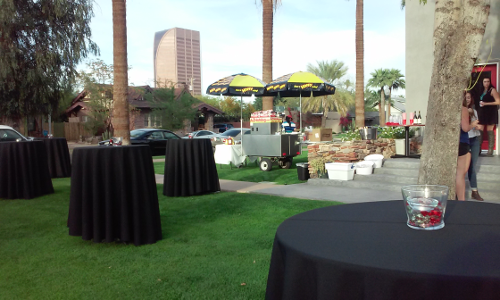 February in Phoenix, a lovely time for outdoor party catering. This is why we live here! 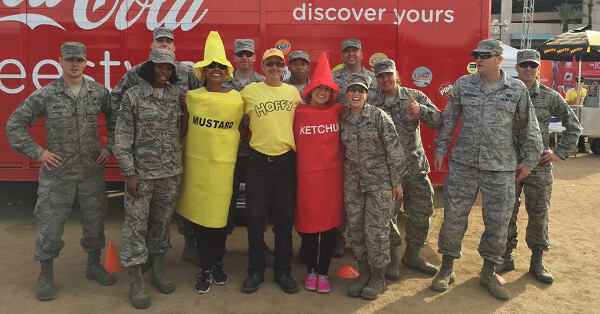 The value of condiments cannot be understated. 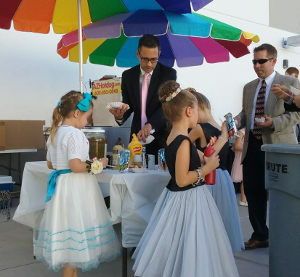 This whipper-snapper is about to learn a whole new definition for "well dressed". 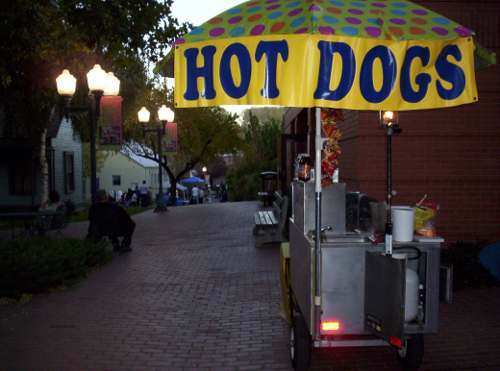 At the end of the day, there's a certain style to hot dogs you don't find anyplace else.